Coach Muffet McGraw's response to a question about women in sports is ? Schools of education are increasingly prioritizing efforts to diversify the teacher workforce, but they can do a better job preparing teacher candidates to be culturally competent and effective instructors, particularly for students in diverse schools and communities, according to a new report this week from Bellwether Education Partners. The report “Preparing Teachers for Diverse Schools: Lessons from Minority Serving Institutions (MSIs)” highlights MSIs as historic models for how teacher preparation programs can facilitate meaningful interactions between candidates, students and educators of color through fieldwork, exposure to diverse settings and perspectives in course readings and cultivated relationships with families, school districts and community organizations, among other efforts. 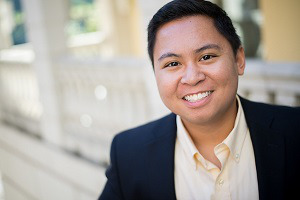 “There’s so much to learn from minority serving institutions” that have a social justice and equity-oriented mission to provide a high-quality education to their underserved students, said Justin Trinidad, an analyst on Bellwether Education Partners’ Policy and Evaluation Team. He added that these institutions have largely been successful producers of teachers attuned to diverse students’ needs because multicultural education is “well-embedded” in the curriculum, teacher candidates have time to reflect and acknowledge their biases and a range of student experiences are reflected as opposed to just one class focusing on cultural competency in the classroom. “Schools of education are certainly beginning to prioritize that, but it’s certainly a slow-going process,” Trinidad said. Bellwether Education Partners’ report was developed after Trinidad and senior analyst Max Marchitello conducted a literature review and interviews with nearly 20 experts and teacher practitioners–mostly from MSIs. It comes as nearly 80 percent of the teacher workforce is White, despite the majority of students being students of color. The consequences of this “cultural mismatch” can lead to lower expectations for students of color, negative attitudes about students and their families and the belief that it is students’ fault for their difficulties rather than social, economic and structural inequalities, the report emphasized. One of the main reasons there has been a lack of integration of cultural experiences into the curriculum of many schools of education in recent years is because of the lack of diversity in preparation programs’ leadership, Trinidad said. “It’s really hard to ensure that diverse perspectives are included when those implementing curriculum and those in power are not necessarily diverse themselves,” he said. Increasing faculty and teacher candidate diversity is a recommendation the report offers as a more diverse faculty body at a school of education may encourage more candidates of color to apply and help retain them when through their matriculation. Even so, it is “crucial” that preparation programs do not overburden teacher candidates of color with “unnecessary responsibility” to help White peers grapple with their identities, stereotypes and biases, the report warned. Institutions should also conduct a comprehensive curriculum review to identify the cultural perspectives that are missing, and then integrate additional perspectives on educational theory, pedagogy and practice, the report added. Providing ongoing training on diversity, equity and inclusion to teacher preparation faculty will assist in efforts to help them incorporate what they learn into the classroom and programs. The report includes a case study on Rowan University’s College of Education and the institution’s prioritization of community perspectives and needs–another recommendation of the report. Trinidad said Rowan has done a “great job” hosting town hall meetings throughout New Jersey and engaging families and community leaders around how the college prepares teacher candidates to effectively serve students in the community. Partnerships with school districts can similarly include opportunities for student teaching or shadowing, or the development of a teacher-in-residency program such as the one at Arizona State University, Trinidad said. The list of recommendations the report offers is not exhaustive, and the implementation of promising practices is dependent on institutional context, Trinidad said. “We would really like people to see this as a starting point and then invest research into some of the questions that are left unanswered, and to continue building off of a piece of the foundation that we’ve been able to contribute to the sector from this paper,” he said. The USC Rossier School of Education created Speak Up: Opening A Dialogue with Youth About Racismas a resource to help facilitate discussions about identity, inequality, and education for children of color. In the resource, you’ll find six interactive graphs demonstrating the disparities black and brown children face in the world around them, which make it difficult for them to excel in the classroom. In addition, this resource acknowledges the uncertainty some teachers may face when trying to address race in the classroom and highlights four key things teachers should do when beginning this important conversation. Civil Rights, Multicultural Curriculum - Lesson Plans, Multicultural Education, Race & Ethnicity, Racism, Teacher Training, Teaching Strategies	and education for children of color, identity, inequality, Speak Up: Opening A Dialogue with Youth About Racism, USC Rossier, USC Rossier’s online master’s in school counseling program. James Albert Banks is an educator who has been called the “father of multicultural education,” a discipline that seeks to develop awareness and skills in teachers and students for living in a culturally diverse United States and world. Growing up as an African-American youth in the Arkansas Delta during the Jim Crow years, Banks developed a commitment to social justice. Banks became the first black professor in the College of Education at the University of Washington (UW) in Seattle and is also founding director of UW’s Center for Multicultural Education.James Banks was born on September 24, 1941, near Marianna (Lee County) to Matthew Banks and Lula Holt Banks, both farmers. His formal education began at the McCullough Union School, which he walked five miles to attend. During his second year of schooling, rural schools consolidated, and he was bused to the Newsome Training School in Aubrey (Lee County), where he attended elementary and junior high school between 1948 and 1957. He graduated in 1960 from the Robert Russa Moton High School in Marianna, located about ten miles from his home.Banks obtained his associate’s degree with high scholastic honors from Chicago City Junior College in 1963. The following year, he received his bachelor’s degree in elementary education and social science with honors from Chicago Teachers College (now Chicago State University), and between 1966 and 1969, he received his master’s and PhD degrees in these fields from Michigan State University. Banks taught at Forrest Park School in Joliet, Illinois, and at the Francis W. Parker School in Chicago between 1965 and 1966.Banks married Cherry A. McGee on February 15, 1969; she is also a college professor and author. The two have written several books and articles together, and they have two daughters.Banks joined the faculty of the UW College of Education in 1969. He served as assistant professor and associate professor until 1971 and 1973, respectively, becoming a full professor in 1973. In 1992, Banks founded the Center for Multicultural Education at the university and became its director. He continues in this capacity. Banks was named Russell F. Stark University Professor in 2000 and then Kerry and Linda Killinger Professor of Diversity Studies in 2006.During his childhood, Banks felt that the images of happy slaves in his social studies textbooks were a contradiction to the stark reality of racial segregation that he and his community experienced, and he began asking who created the images of happy slaves, and who develops curriculum. These became crucial social justice research questions. In time, they have taken newer forms. Through his teaching, research, and writings, Banks has continually tried to explain issues in black studies, ethnic studies, multiethnic studies, multicultural education, and citizenship education.The demographics of the United States and its schools have been rapidly changing. This being the case, in more than four decades of research, Banks has created a fund of knowledge—dimensions, approaches, paradigms, principles of curriculum, teaching, and assessment—for curriculum developers and educators, all aimed at helping students from diverse ethnic, language, and other cultural groups to develop knowledge, attitudes, and skills to become effective citizens in a multicultural nation and a diverse world. Stated simply, Banks has provided teachers with detailed answers as to what to teach, how to teach, and how to assess students from different ethnic groups such as Native American, African American, European American, Hispanic American, Asian American, and Arab American, and other cultural categories such as gender. Banks has emphasized that textbooks must not merely describe concepts from the perspective of the dominant culture. Rather, they must also include viewpoints of different cultural groups. For example, in explaining westward expansion, it is imperative that textbooks include the perspectives of Native Americans. Teachers have a responsibility to reduce prejudice and empower “all” students with the goal of creating a just society.Banks has authored or edited more than twenty books, as well as over sixty book chapters and written about 100 journal articles. Banks is editor of two landmark publications, Handbook of Research on Multicultural Education (1995, second edition 2004) and Diversity and Citizenship Education: Global Perspectives (2004). He also edits a multicultural education book series published by Teachers College Press at Columbia University.In 1971, Banks was appointed a member of the Task Force to Reevaluate Social Science Textbooks in California. He visited Hawaii, Mexico, Puerto Rico, France, and Great Britain to examine multiethnic education during the 1976–77 school year. In 2000, he was elected a member of the National Academy of Education. Banks was president of the National Council for the Social Studies (1982) and the American Educational Research Association (1997–1998). He has received honorary doctorates from six colleges and universities, as well as the UCLA Medal.Banks was the twenty-ninth annual faculty lecturer at the University of Washington in 2004–05, the university’s highest honor for a faculty member. In 2004, the American Educational Research Association (AERA) awarded its first Social Justice in Education Award to Banks for a career of research that advances social justice through education research. In the fall of 2007, he was the Tisch Distinguished Visiting Professor at Teachers College, Columbia University, in New York. In January 2019, he retired from the University of Washington. Banks, James A. Race, Culture, and Education: The Selected Works of James A. Banks. New York: Routledge, 2006.Brown, Quinn Russell. “Thanks, Professor Banks: ‘The Father of Multicultural Education’ Is Retiring after 50 Years at UW.” Columns: The University of Washington Alumni Magazine. Online at https://magazine.washington.edu/feature/james-banks-uw-retires-multicultural-education/ (accessed February 4, 2019.“Professor James A. Banks.” University of Washington, Seattle. http://faculty.washington.edu/jbanks/ (accessed February 4, 2018).